While working at Roger.tv I was tasked with conceptualizing and designing frames for the FX promotion of the Simpsons on FXNow. The goal was to create new concepts for network promotions and tune-in times for the marathon. The idea was to create odd and creative transitions and small story arcs for each promotion. Growing up, the Simpsons was such a childhood classic. 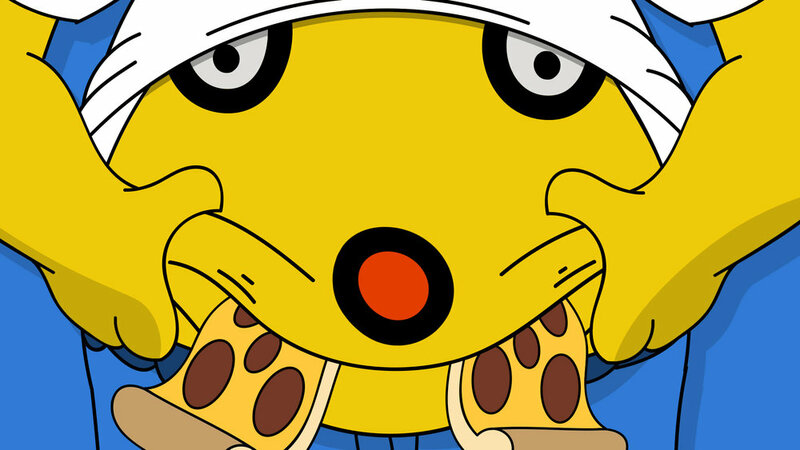 So I drew inspiration from classic scenes in Simpsons lore. The set below shows Homer in a moment where he almost makes it over Springfield gorge. 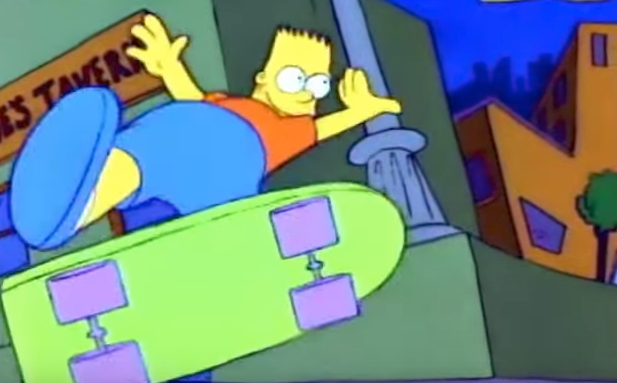 As he travels through the air, he then transforms into Bart and he rides towards his highschool. For this bottom set, I imagined Homer to be sitting at home in the quintessential show opener lock up. In this example, I had an idea that the room transforms around Homer and it just so happens that Bart is left from the switch. We land and resolve to Moe's Tavern and the guys kicking back a brew. After exploring the idea of transforming people and scenery, I began creating more abstract concepts on the idea of transformation and oddities. 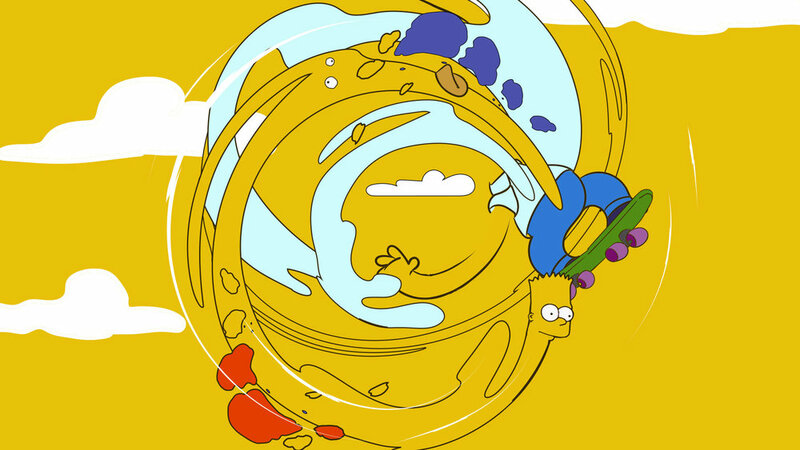 In the example below, I began to treat the recognizable Simpson silhouette in a pop graphic design style as a background and a dimensional 3d character in the foreground. With the idea of transformation and oddities in mind, I applied the style to the head and ways it can bring recognizable key moments to these figures. 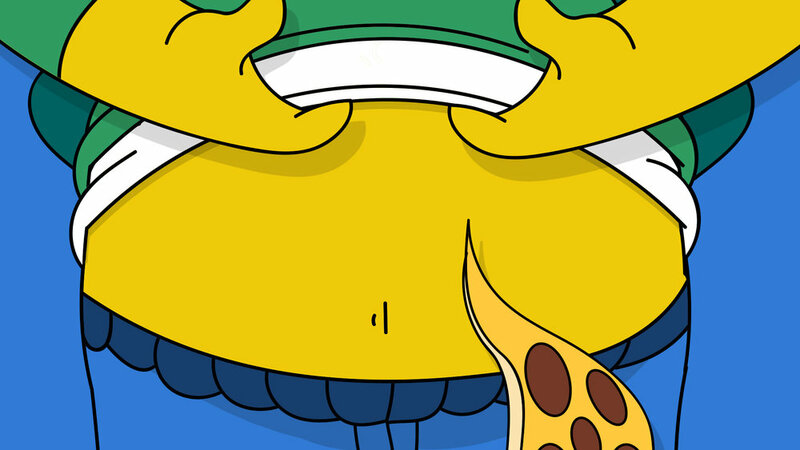 There was a moment in Simpsons lore where Homer does this hilarious pizza rub on his belly. I chose to do a tight camera shot of the stomach and I imagined Homer's VO saying "Stomach are you hungry? IM ALWAYS HUNGRY". As he laughs Bart walks in on Homer and the Pizzas drop and it turns into one of the town locals doing his skit on "Paddlin". For this last set, I chose to stick with the idea of using the heads of recognizable characters reinterpreted as micro-organisms gravitating towards their interests.